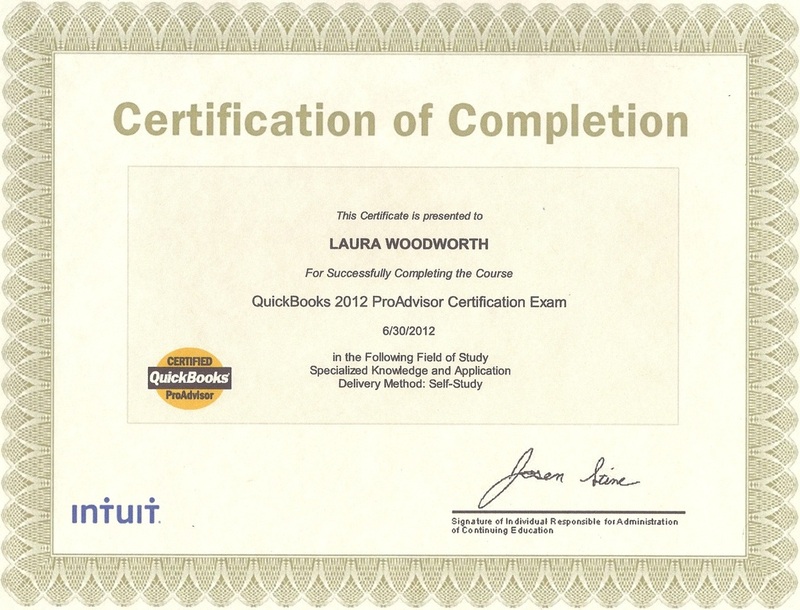 What is a Certified QuickBooks ProAdvisor? Certified QuickBooks ProAdvisors are typically CPAs, accountants, and small business advisors who have been tested and certified on QuickBooks. ProAdvisors help businesses customize QuickBooks for their unique needs and help them get the most out of the software. QuickBooks is the most widely used accounting software for small businesses today. LW Professional Solutions LLC has the qualifications necessary to address the specific need of your business, and to help you achieve maximum results from QuickBooks. LW Professional Solutions LLC can assist you with set-up, training and ongoing maintenance. Whether you are converting your company's books to a QuickBooks product or starting a business using QuickBooks, I can help ensure proper setup of your accounting software.